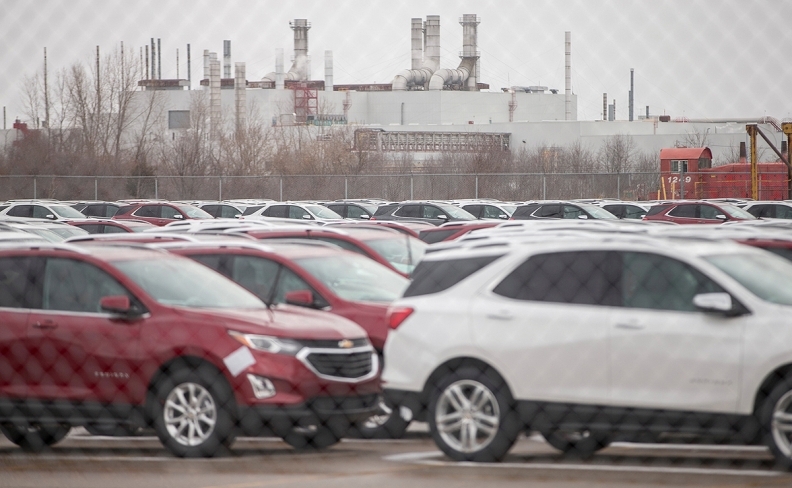 General Motors is reducing production at powertrain factories in Canada and the U.S. as a result of a strike at the Chevrolet Equinox plant in Ontario, now in its fourth day. About 2,500 employees at the CAMI plant, in Ingersoll, Ont., struck the automaker late Sunday after the contract expired and a tentative deal had not been reached. The St. Catharines plant, also in Ontario, supplies CAMI with transmissions for the popular crossover. The majority of Equinox engines come from Spring Hill, Tenn., while a smaller number come from a plant in Flint, Mich.
“There will be some short-term layoffs because we won’t be supplying those products to CAMI. However, there is no impact on production of components for other vehicles,” GM spokesman Tom Wickham said in an email. Tim McKinnon, chairman of Unifor Local 199 representing about 1,400 workers in St. Catharines, said 255 employees on the transmission line have been told not to report to work Monday. The transmission line works two shifts per day in St. Catharines. Workers spent the week stockpiling transmissions but have run out of room to store them. The rest of McKinnon’s members build engines that are shipped to the United States, mainly to Arlington Assembly in Texas. Canadian parts maker Magna International said Wednesday it is suspending the supply of parts to the CAMI plant. Unifor said today it invited management to get talks rolling again. Hours after that call, GM announced the adjustments at other plants. Michael Waylan contributed to this report.